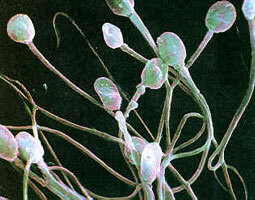 Abnormally low concentration of spermatozoa in the seminal fluid. Symptoms and indications: Seminal fluid where the concentration of sperms is less than 20 million sperms /ml. Causes and risk factors: Possible causes are constitutional weakness or irregular sexual life, chronic illness including mumps and some sexually transmitted diseases, severe testicular injury, tumour, hormonal deficiencies, varicocele, exposure to toxic chemicals, stress, some antibiotics, alcohol abuse, or weakness or malnourishment of the body. 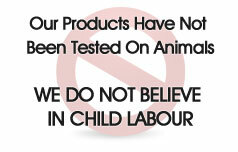 Prevention: Nutritional and lifestyle changes increase chances for conception. Smoking, caffeine, drug and alcohol consumption, and stress are related to infertility. Reproductive organs are highly susceptible to free radical or oxidative damage from environmental toxicants (pesticides, insecticides, lead, radiation, and heavy metals) and natural aging. Red meat and dairy products contain amino acids which helps in increasing sperm mortality and increasing the number of motile sperms. Oysters, sardines, onions, and cardamom are also helpful. Avoid tight clothing, hot baths and saunas, as overheating the testicles can slow sperm production.